Photos from Maggie Humphries & Juliet Dean. These photos include stills of the Film Unit Office, featuring Bill Bohanna (Manager Film), Maggie Humphries & Diane Welch, Juliet Dean. 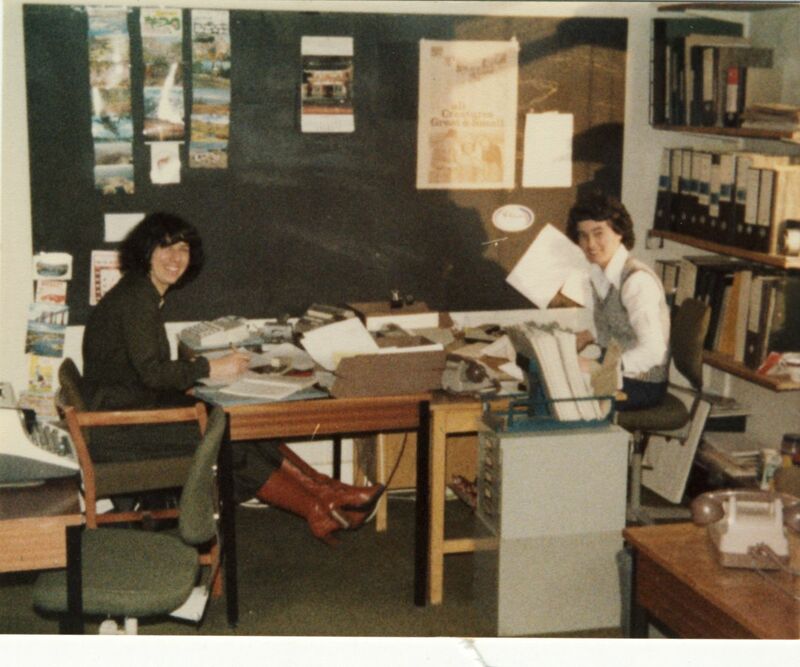 The Film Unit was a busy office on the 1st floor at the back of Pebble Mill. All the allocation of film camera crews was done from the Office, as well as the ordering of specialist film equipment. The Film Unit also organised the film editors, allocating editors to programmes, including news, dramas and documentaries. Most filmed programmes were shot on 16mm film. Shooting and editing on film were replaced in the late 1980s and 1990s by single camera video recording on beta and then digibeta, and the editing equipment changed from steenbecks to Avid.